Guilt is a busy mother’s mortal enemy - having no time to cook a nutritious dinner or piling up on laundry because there’s still so much to be done; forgetting to put an extra towel in your kid’s bag or going home really late on a work night and finding them sound asleep in bed, not sure about what they ate for dinner or if their homework are done. All moms feel guilty for not having more time for the family. Whether a career mom or stay-at home mom, you never run out of things to do at work and at home. Moms always run to their next destination, carry plenty of things all at once, do at least two things at the same time and think about a lot of things most of the time. Mothers are the ultimate multi-taskers. And despite what experts are saying, that multitasking lessens overall productivity, you moms often seem to give a hundred and ten percent effort on everything you do. No matter how tired you are. To give you more time to relax, make your gadgets work for you by doing at least half of the things that you’re worrying about on a regular basis like food, groceries, budget, chores and errands. Here are the my personal top five free iPhone apps for the modern practical Pinay mom like me. Budget is always a family concern. Needs have to be prioritized and there should still be allotted sum for some leisure and recreation with the whole family. Fitting the family income into the needs are already challenging enough and sometimes the only way to go. With this app, you can watch over the monthly or bi-weekly budget, depending on how frequent you want to set it. You can deduct expenses as you go about your activities every day, as frequent or as seldom as you want. I usually do this at the end of my day for daily or unexpected expenses but most of the family costs are planned like tithes, savings, recurring bills, groceries, gas money, weekly allowances, and the quarterly insurance costs. Whenever we have plans to travel, I make sure it’s included in the planned budget with a little extra. What I love most about the app that I can’t find in others is the budget details that shows you how much is left with and without the planned expenses. So you will see what you currently have versus what you virtually have left considering all the planned expenses. Planning your budget ahead is always a good idea but it doesn’t mean it has to be perfect. It needs to be as flexible and as stretchable as possible. Quick Practical Pinay Mom Tip: Schedule your planned expenses closest to or on the exact day you’re expected to spend it. This will be included in your expenses computation. Check the app at the start and end of your day to keep you from overspending throughout the day. The trip to the grocery could be a lucid shopping spree dream-to-nightmare scene. Again, priority is key in purchasing household needs. Rice, meal ingredients, and baby needs are at the top of the list. Toiletries and house cleaning necessities go right under. Depending on the amount and frequency of your family income, you need to make sure everything you need is in the shopping cart. That’s where Shopping Pro comes really handy. It gives you a number of lists that you can use to separate items you want to buy from different stores where they could be cheaper. You can really plan ahead by entering each item you need under a category you prefer -- perhaps the area where you can find the items to keep like kids items together etc. ; thus, easier for you to navigate the store. It saves you the time of running around and back to an isle you’ve been before. The most special part of this app that every Pinay mom needs is the price feature. So far, it only comes in dollar ($) currency but the numbers are what’s important. It also gives you the option to add how many items you need and sums it up automatically. After listing all your needs with the corresponding price, you’ll see the total amount at the bottom of your gadget’s screen. As you cross out each item that you put into your shopping cart, you can check if your price is accurate and simply edit when needed. It also gives you the total price of the checked and unchecked items. The benefit? If it goes over your planned budget for groceries, then you can scan through your lists if there are optional items and simply delete them. Next time you go to the grocery store, you won’t be anxious about how much everything will cost at the counter. You’ll know right at the tip of your fingers. I’ve used at least six shopping apps in the past but so far, this one fits all my needs. It’s fast and easy to use, simple but still looks artistically good on my phone screen. I have a hand-written list in my bag in case my phone dies and a powerbank just in case. Quick Practical Pinay Mom Tip: Make a written list of meals you plan to cook for the week or for how long you are shopping groceries for. List the ingredients on the flip page and indicate if an item will be used more than once. And then, copy them into your app, separating them according to categories. This will help you use everything you buy and leave you with little to nothing in your pantry at the end of the week. Nothing goes wasted. For date nights, family weekend dates or even the late night take-out cravings always post a number of serious, relationship-endangering problems -- where to eat and what to eat. Young couples even have this challenge, I’m sure you would know. But having an app handy makes these questions half answered. 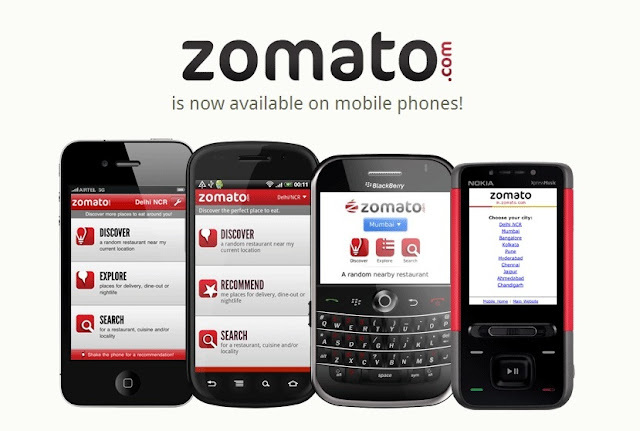 Zomato gives you an option to search a restaurant by name, cuisine or dish. It shows you what’s nearby or what’s best. Foodies like you can give a feedback or review the restaurant, their food, their service, and their experience so you will not go there not knowing what to expect. It tells you if a place delivers, how much your meal could cost, and operating hours. What’s best about the app? Each restaurant has pictures of their menu! Which means, you can pick what to order on your way or even as you pick which place to go to. The menu, of course, have prices so you’ll know how much your meals will roughly cost, most of the time excluding VAT. Plus, it gives you the chance to visit great new places that are out of your typical way. Quick Practical Pinay Mom Tip: Before looking at the menu of a restaurant, look at the Cost section first. It shows how much you might spend for 2 people to see if it fits your budget. Then if it does, pick your order on your way to save time and get faster service. Restaurant servers usually give better and faster service to people who already know what to order even without looking at the menu. It gives them the impression that you’re a regular customer even if your face doesn’t look familiar. (Sorry that was long. That’s two tips, though). Families on a strict budget want home-cooked meals. Home-cooked meals are actually a labor of love. It takes effort, time and money and love is the best driver of all of these. It’s an opportunity for the busy Pinay mom to surprise the taste buds of the pack. 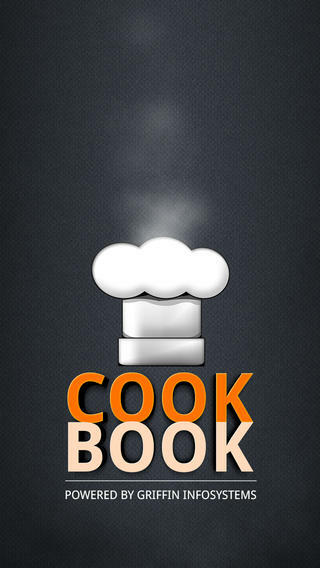 Cookbook is not a Filipino-made app; thus, the recipes are not very traditional but most of them are very easy. You can choose from over fifteen thousand options and you will almost never run out. Meals are separated in categories by main ingredient like beef or seafood, and meal of the day like breakfast or dinner. Other categories are vegetarian, pasta, soups and sandwiches, snacks, salads, pork, grills, gluten free, desserts, chicken, cakes and pies, breakfast and brunch, bread, appetizers, and make-ahead meals, You can browse through their lists and favorite the ones you want to try best. What I love most about the app is you can find a recipe according to what you have in your pantry or refrigerator. Now, doesn’t that save you time, money, and effort? You save time thinking what to cook with what’s left. You save time having to buy more ingredients because you get to use up everything that you have lying around. Another thing is that it gives you substitute suggestions if you don’t have an ingredient in a recipe and measurement conversions. Quick Practical Pinay Mom Tip: Before making your grocery list, pick meals from the app you’d like to cook for the family throughout the week. You can even choose one ingredient that is present in other meals you plan to cook to save more. As busy Pinay moms, we never run out of chores, errands and important things to do. You probably already make a list of things you do for the day or the next because you are afraid of forgetting something. The worse thing is having to come back to a place after you’ve left because you forgot a small but important errand. That one small thing could cost you more when you come back for it. With Swipes app, you can plan ahead and save more time. List your “to-do’s” the night before or even during the day as you accept responsibility. You can schedule the task, add tags to identify work and home duties, repeat recurring tasks and even add sub-tasks. You have three screens: snooozes, what’s due right now, and done tasks. Design of app is really minimalistic but the effects are very modern. What I like most about Swipes is that you can prioritize a task and move about your day crossing out the most important things first. The best way to be productive is planning ahead and doing tasks that are most relevant at the present time and place. Quick Practical Pinay Mom Tip: Before leaving a place like your office or the mall, take a quick look at your snoozes and what’s due lists. Nothing saves you more time than hitting more birds with one stone. Busy moms often have no time to take care of themselves because of the endless number of things that need to be done in only twenty-four hours. For us, having things done in a timely manner and meeting family needs is really important. Productivity without anxiety is a reward in itself. Now, with some extra time, money, and energy and these apps in your hands, you can appropriate them to what matters most--quality time with the family. Salute!